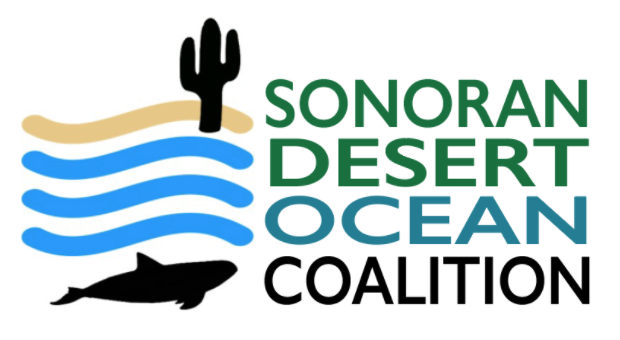 The Sonoran Desert chapter joined the Coalition in late 2016 and began outreach and education efforts in early 2017, focusing primarily on sustainable seafood. Chapter Lead Kristin Wisniski-Blum incorporated the Monterey Bay Aquarium's Seafood Watch Program and collaborated with the Arizona Sonoran Desert Museum to share timely information on ocean health and easy ways to help alleviate stress on marine ecosystems. She believes strongly that we can all make a difference for the health of our ocean—even living in the desert. In the chapter's first year, Kristin attended the Blue Vision Summit, hosted 4 Sustainable Seafood Happy Hours in Tucson, Arizona, and helped coordinate a sustainable seafood tasting event for World Ocean's Day at the Arizona-Sonora Desert Museum.